Variety (or /film, if you think pay-walls are for suckers) is reporting that Brian Kirk, a television director most known for Game of Thrones, Boardwalk Empire, and Dexter, is most likely directing the sequel to this May’s Thor. This makes sense on a number of levels. First off, those shows are all major ensemble pieces, and the Marvel films are emerging to also rely on many, many characters. 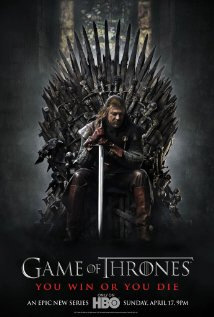 Secondly, Game of Thrones, his most accomplished work, is also set in a land of swords and shield and grand talk. And thirdly, television is a writer and producer’s medium, and it’s up to the director to just make sure it all comes through clear and fit in with the rest of the world the show has created. Since Marvel is dead set on their own massive film universe, they need someone to understand exactly where their coming from and not rock the boat too much. I enjoyed Thor a lot. Enough to see it in IMAX 3D twice, and while it could be pretty goofy at times I had a lot of fun with it. Chris Helmsworth is a definite star, and the second film will surely be able to open up and have a lot more fun now that Asgard and the Frost Giants and the Rainbow Bridge have all been explained. Comments for “Game of Thrones” Director in Talks to Helm “Thor 2” are now closed.